I am thrilled that my 4 year-old LOVES shrimp. She tried one a few months ago and since then can't get enough of them. I'm a little jealous, actually. I wish I liked shrimp but I just don't, but at least my daughter gets to eat all of the yummy shrimp recipes my husband makes. All of the shrimp recipes on this blog are his. 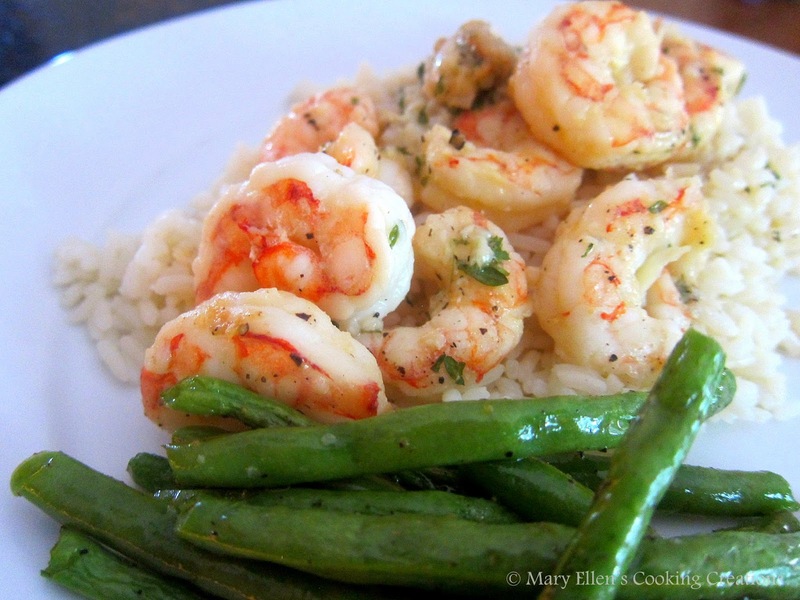 A few weeks ago he made shrimp a little differently than his usual spicy shrimp or Cajun grilled shrimp. He used wine, garlic, and lemon for a simple light and fresh dish. He loved it and our daughter loved it, and I loved watching him create it and then seeing her devour it. The shrimp only took about 10 minutes to make so this is a quick and easy meal that looks and tastes fancy.